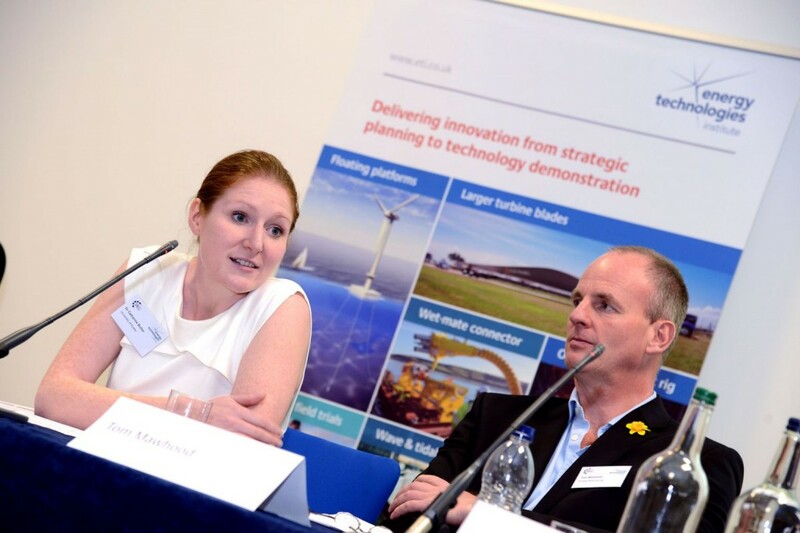 The ETI together with the Midlands Energy Consortium hosted a “Low Carbon Future” showcase at Loughborough University. On Wednesday 12th November the ETI together with the Midlands Energy Consortium (the universities of Birmingham, Loughborough, Nottingham, Warwick and BGS) hosted a “Low Carbon Future” showcase at Loughborough University. The day-long programme featured an exhibition showcasing 26 projects including a collaboration between Loughborough University, Johnson Matthey and Caterpillar to reduce heavy duty vehicle exhaust emissions; and the ETI-developed CO2 Stored – a UK CO2 storage evaluation database now licensed to The Crown Estate and the British Geological Survey – to map the UK’s offshore carbon dioxide storage capacity. The defining feature of these diverse ventures is the drive to develop secure and sustainable low-carbon technologies to help reduce the UK's greenhouse gas emissions by 80% before 2050. 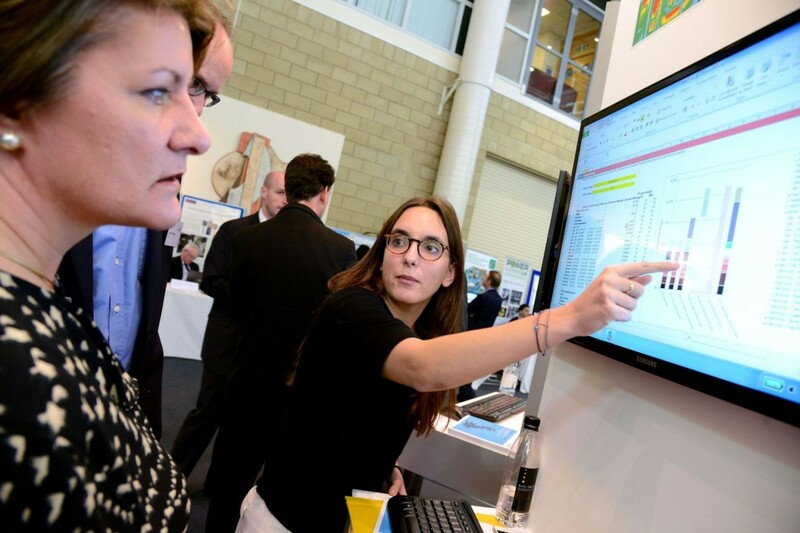 The event’s Modelling Zone provided live demonstrations of six ETI-funded models, including ESME (Energy System Modelling Environment) – the ETI’s internationally peer-reviewed national energy system design and planning capability. Software licences for the models displayed are available to academics undertaking relevant energy research. 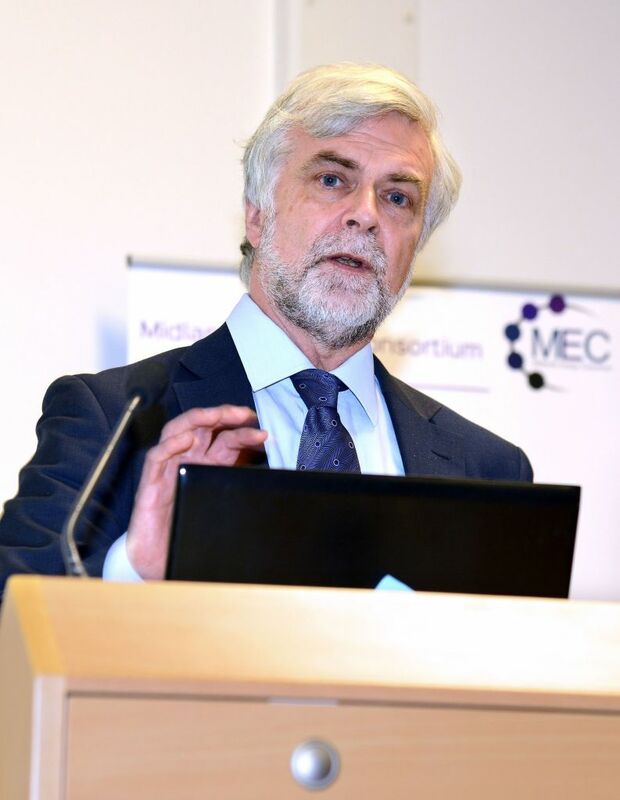 Keynote speaker Professor Jim Skea – RCUK Energy Strategy Fellow and Professor of Sustainable Energy in the Centre for Environmental Policy at Imperial College London – spoke about how to make the right connections to successfully innovate for a fit for purpose 2050 energy system. The day closed with an expert panel discussion, chaired by Vice Chancellor of Loughborough University, Professor Robert Allison. He was joined by Professor Jim Skea, Dr Catherine Butler – Advanced Research Fellow in Environment and Sustainability at the University of Exeter; Tom Mawhood – Investment Director at Turning Point Two; Jo Coleman – Strategy Director for the ETI; and Dr Dominic Emery – VP Long-term planning for BP. The discussion explored ways in which the 2050 targets can be met economically, but with maximum social impacts and benefits. The ensuing debate looked at the progress made by the UK towards meeting its legally binding climate change targets – highlighting the need for real collaboration, public engagement, and the importance of sharing research and knowledge to build a robust evidence base to help policy makers make informed decisions.